After the fire -- from space! This image, captured by the Advanced Spaceborne Thermal Emission and Reflection Radiometer (ASTER) on NASA’s Terra satellite on September 6, shows the extent of the burned area. 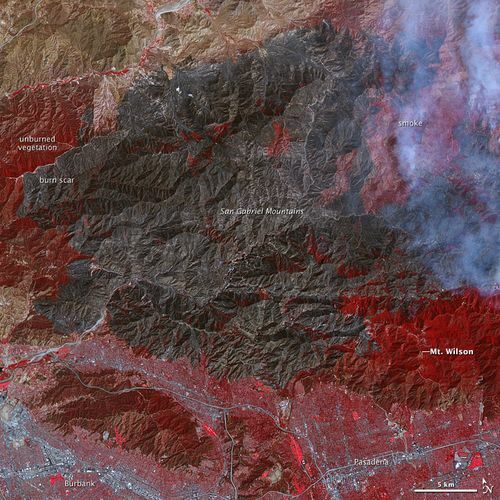 The newly charred land is black in this false-color image, which was made with near infrared light. Plants are dark red, and man-made surfaces, particularly the dense urban centers of Pasadena and Burbank, are blue and white.